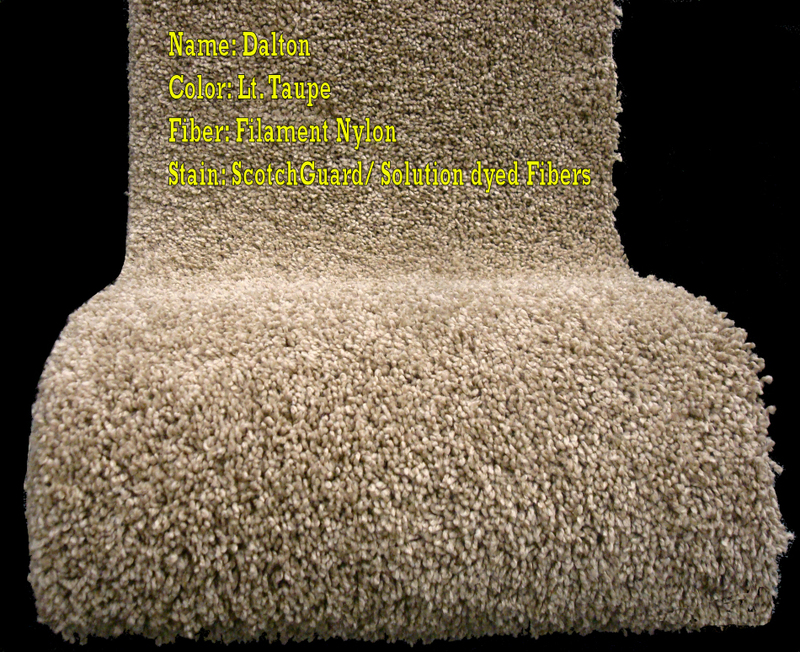 A nice soft low pile high traffic carpet with a face weight of 42 ounces. 2 Fiber colors (Lt. Taupe & Dk Ivory are wrapped in barber pole pattern. Solution dyed fibers are the highest level of stain resistance perfect for homes with pets and kids, not even bleach will discolor this carpet.